I had the pleasure to present "Type Script jump start" to one of our local communities. In this session i covered why do we need TypeScript? and how to integrate it in existing projects using different text editors such as: Sublime and VisualStudio Code. The presentation covered the most needed benefits/features of TypeScript in creating: classes, interfaces, inheritance, generics, modules and compile time checking. If you are trying to use TypeScript features in Sublime Text 3. 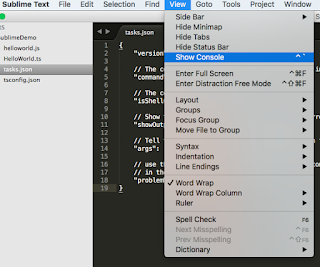 This blog post describes step by step on how to start coding and utilize TypeScript features including intelliSense, compile time checking, validation...etc in Sublime. 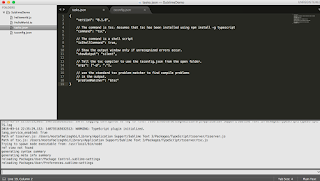 1) You need to have Package Control in Sublime, if you do not have it follow below steps. otherwise, continue reading step 2. 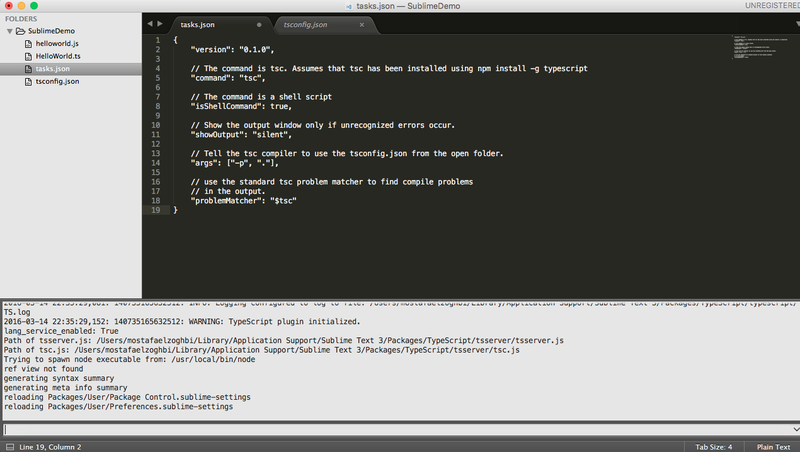 2) We need to install TypeScript from Package Control by searching for this package. 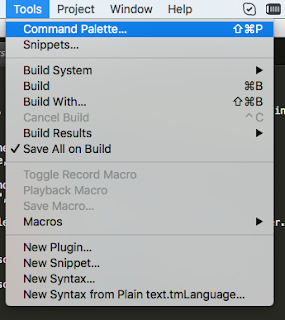 To open package control, We need to open Command Palette from tools menu. 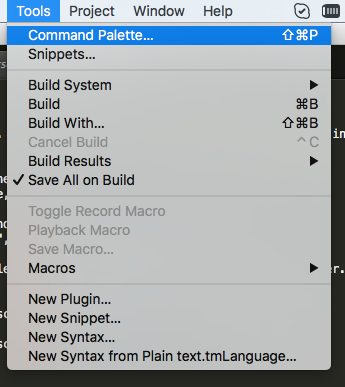 3) Then type Install Package in the popup window. 4) Package Control will popup and then search for TypeScript plugin by writing: TypeScript and then select the package. 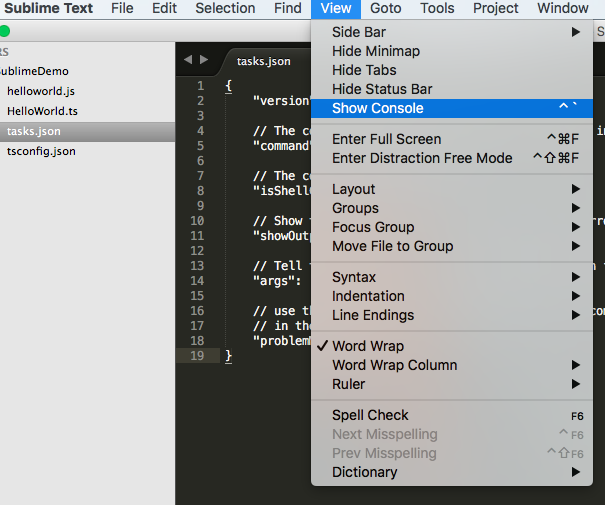 5) Now, try to add any TypeScript file (with .ts extension) and you will be able to use TS features while writing code in Sublime Text! I have posted a video to demonstrate how to build your skills in Hadoop ecosystem by understanding the key products in building big data solutions using HDFS, HBase, Storm and Spark. The video is a jump start to understand key components of Hadoop stack on building big data solutions, storing NoSQL data, processing and ingesting data using computation platforms. The video covers how to get started to build big data solutions in Azure. Azure provides different Hadoop clusters for Hadoop ecosystem. The video covers the basic understanding of HDInsight clusters including: Apache Hadoop, HBase, Storm and Spark. The video covers how to integrate with HDInsight in .NET using different Hadoop integration frameworks and libraries. The video is a jump start for engineers and DBAs with RDBMS experience who are looking for a jump start working and developing Hadoop solutions. The video is a demo driven and will cover the basics of Hadoop open source products. I have published a new video on how to build web, mobile and api applications using Azure App service. In this video i am describing in depth out of the box features for Azure App Service. Azure App service allows developers to build web, mobile and api applications using your favorite programming language. The video shows how to provision azure app service without the need to have azure subscription to get a sense of what can you build with azure app service. Also, we cover how to use azure portal features for app services in terms of: scalability,security, automated backups, deployment slots, VNet integration vs Hybrid networking and much more. I have published a new video to cover how to build scalable micro-services in Azure using cloud services. The video covers who to use web and worker roles in cloud services. In addition when to use worker roles vs. web jobs for backend jobs. Video Details: "Build Intelligent Cloud Services using Azure"
The session covers how to build web, mobile, Api solutions using Microsoft Azure platform. The session covers in detail how to build intelligent solutions using Azure Cloud Services. The session is a demo driven and demonstrate how to design and provision complete end-to-end solutions using Microsoft intelligent cloud.